Thinking about taking up the lemonade diet? Not so fast! There are tons of stuff you don't yet to shed pounds fast. It's easier than drinking maple syrup. There are many ways to cut back on calories or detox your body and drinking maple syrup isn't one of them but the lemonade diet is!? - Known as the Master Cleanse, maple syrup, or simply the Beyonce diet, it is an attractive liquid diet to shed pounds fast. However, just because it may help you lose a few pounds doesn't mean that it is the best thing you can do for your body. What is the "lemonade diet?" What the lemonade diet is may seem obvious at first but as it turns out there is more to it than just drinking lemonade. It is a liquid detox diet developed by the late Stanley Borroughs also known as the Master Cleanse or the Maple Syrup diet that uses lemonade as a catalyst to help you detox your body used by Beyonce to help her lose 20 pounds to fit into the movie Dreamgirls. Maple syrup, isn't that going to ruin your diet? Yes, a traditional lemonade diet like the one used by Beyonce contains grade-B organic maple syrup along with other great lemonade diet ingredients such as freshly squeezed lemon juice and cayenne pepper. 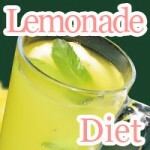 The lemonade diet works in principle mainly due to the fact that it induces a negative energy balance, calorie deficit. As you know your body requires a minimal amount of energy to carry out respirator functions and otherwise keep your body running called your basal metabolic rate (BMR). The amount of energy your need to supply your body with to avoid having your body metabolize muscle tissue causing loss of muscle mass that slows down your metabolism is best described by the sum of your basal metabolic rate and activity level, which is the bare minimum amount of calories you need each day or total daily energy expenditure (TDEE). TDEE = BMR + DIT + "Activity Level", where DIT stands for diet-induced thermogenesis relating to the thermal effect of the foods you eat. On the lemonade diet or any other diet you must get at least this amount of calories to prevent your body from turning your lean muscle into energy it can use to keep your body running. 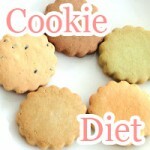 Trust me if you reach this point in your diet your activity level should be close to zero. However, lemonade diet ingredients such as cayenne pepper increase diet induced energy expenditures helping you burn more calories in addition to your basal metabolic rate and activity level. Due to the fact that the lemonade diet requires that you make drastic cutbacks in your calorie intake, losing weight is inevitable. However, in the process there is a high chance of it having a negative effect on your health such as becoming the cause of malnutrition and loss lean muscle mass slowing down your metabolism if continued for long periods of time exceeding two weeks. The first thing you are going to need to get started on the lemonade diet is a recipe. Although there are many recipes out there, what comes to mind first is the same master cleanse drink used by Beyonce. Here is one of the most common master cleanse drink recipes out there. For best results in your lemonade diet, sea salt and decaffeinated tea leaves may be added. A few tips are to focus on using organic ingredients and avoid using concentrated lemon juice. Lemon juice acts as a source of enzymes and vitamin C. The acidity of lemon juice acts as a damper for the sugar in maple syrup preventing spikes in your blood sugar. Maple syrup in addition to being a source of energy functions as a preservative preventing oxidation of nutrition from lemon juice. Maple syrup is also high in vitamins and minerals such as zinc and magnesium said to support your immune system. 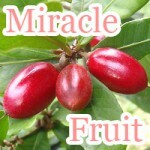 This plays an important key factor in your diet. After all, if you get sick while dieting that means you are going to have to take a break from your diet and start all over again. Cayenne pepper is added to promote fat burning diet-induced thermogenesis. 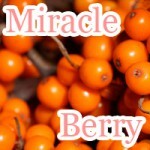 It has thermogenic properties that increase the heat production by your body through increased circulation and perspiration. Cayenne pepper as a weight loss supplement is said to help you burn more fat when you exercise. Mix lemon juice in a separate container that will be used in the final mixing process. Note that you want to keep this container cool. Add the contents of the lemon juice and maple syrup mixture to filtered water. Stir after adding cayenne pepper and any other ingredients you wish to add completing the final mixing process. Note that ingredients used in the lemonade diet can be prepared beforehand. That means mixing up a batch of lemon juice and maple syrup and then storing in the refrigerator to prevent oxidation of lemon juice vitamin C and enzymes. Drink 6-10 glasses of Master Cleanse Lemonade throughout the day. There is a 10 day rule, which states that if you are feeling extremely week by the 10th day that should be a sign that you are not ready for 30 or more days of the lemonade diet. In addition to drinking special lemonade, it is highly recommended that you hydrate between drinks. Westerterp, Klaas R. "Diet induced thermogenesis." Nutrition & metabolism 1.1 (2004): 5. Lose 10 pounds eating 2-3 tbsp of virgin coconut oil a day taking advantage of medium-chain triglycerides in your diet. Saturated fats are not trans fats.